Today we will be discussing what are solutions? 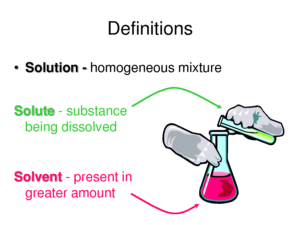 A solution is a mixture of one substance dissolved in another so the properties are the same throughout. A solution is composed of a solute and the solvent. The solute is the substance being dissolved and the solvent is the part of the solution that does the dissolving. The solute is of molecular size. * Two liquids that are soluble are said to be miscible in one another. The solubility is the amount of solute that be dissolved in a given amount of solvent at any one temperature. A solution is said to be unsaturated as long as more solute can be dissolved. Dilute or Weak Solution: only a small amount of solute compared to solvent. Concentrated Solution: A relatively large amount of solute to solvent. Saturated Solution: At this point, the concentration of the solute in solution is the maximum possible under the existing conditions (temperature and pressure). A solution is saturated when no more solute can be dissolved at the current temperature. A saturated solution is one in which the dissolved and undissolved solutes are in equilibrium. Although water is sometimes called the universal solvent, there are many things it cannot dissolve. For example water and oil do not mix. We say oil is immiscible in water. 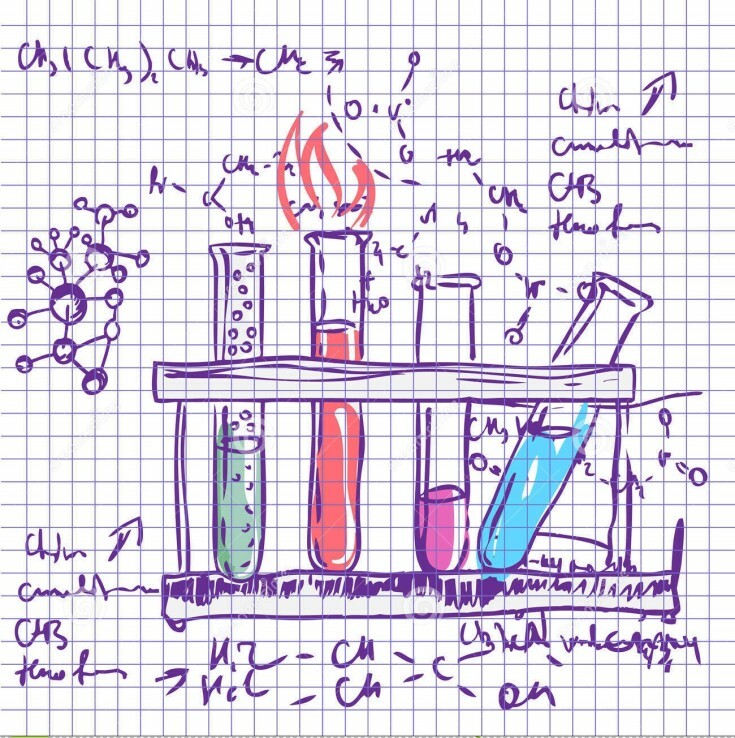 What makes water such a good solvent? When an ionic or polar compound enters water, it is surrounded by water molecules. The relatively small size of water molecules typically allows many water molecules to surround one molecule of solute. The partially negative dipoles of the water are attracted to positively charged components of the solute, and vice versa for the positive dipoles. 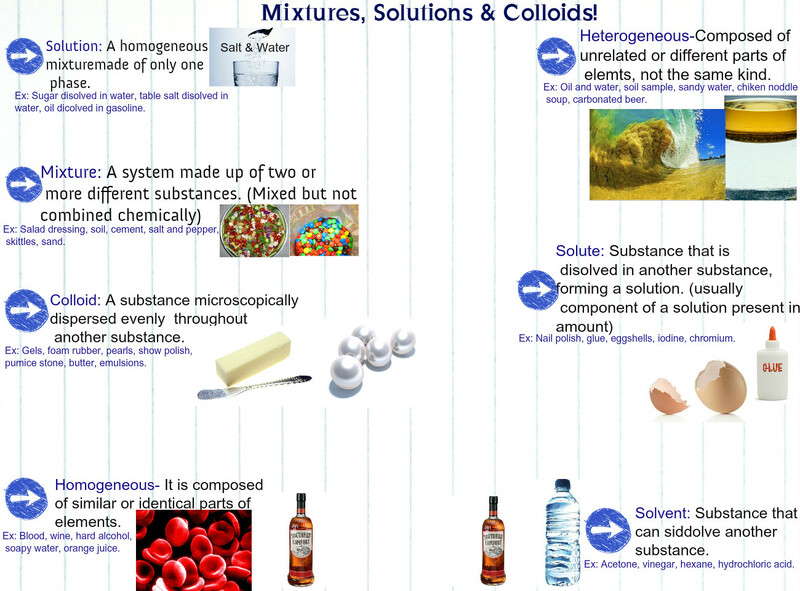 Before we dive into solutions, let’s separate solutions from other types of mixtures. Solutions are groups of molecules that are mixed and evenly distributed in a system. Scientists say that solutions are homogeneous systems. Everything in a solution is evenly spread out and thoroughly mixed. Heterogeneous mixtures have a little more of one thing (higher concentration) in one part of the system when compared to another. Let’s compare sugar in water (H2O) to sand in water. Sugar dissolves and is spread throughout the glass of water. The sand sinks to the bottom. The sugar-water is a homogenous mixture while the sand-water is a heterogeneous mixture. Both are mixtures, but only the sugar-water can also be called a solution. Can anything be in a Solution? Pretty much. Solutions can be solids dissolved in liquids. When you work with chemistry or even cook in your kitchen, you will usually be dissolving solids into liquids. Solutions can also be gases dissolved in liquids, such as carbonated water. There can also be gases in other gases and liquids in liquids. If you mix things up and they stay at an even distribution, it is a solution. You probably won’t find people making solid-solid solutions. They usually start off as solid/gas/liquid-liquid solutions and then harden at room temperature. Alloys with all types of metals are good examples of solid solutions at room temperature. A simple solution is basically two substances that are evenly mixed together. One of them is called the solute and the other is the solvent. A solute is the substance to be dissolved (sugar). The solvent is the one doing the dissolving (water). As a rule of thumb, there is usually more solvent than solute. Be patient with the next sentence as we put it all together. The amount of solute that can be dissolved by the solvent is defined as solubility. That’s a lot of “sol” words. Science has special names for everything. 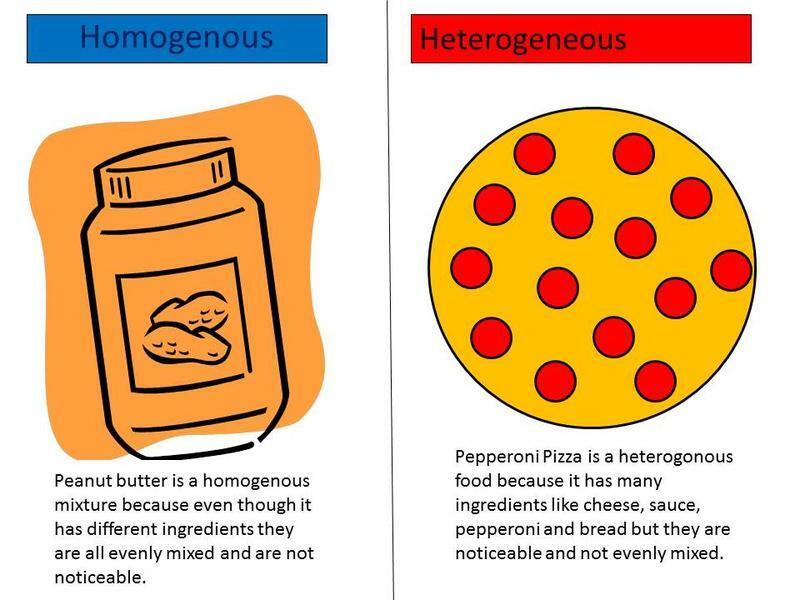 They also have names for the different types of homogenous mixtures. Solution is the general term used to describe homogenous mixtures with small particles. Colloids are solutions with bigger particles. 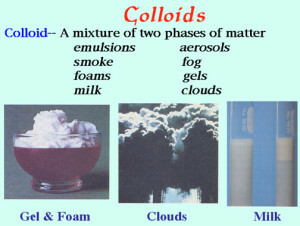 Colloids are usually foggy or milky when you look at them. In fact, milk is an emulsified colloid.You may also hear about colloids if you study soil. While milk is an organic colloid, soils can be made up of inorganic colloids, such as clay. We are offering online tuition for subjects Chemistry, Biology, Physics, Mathematics, English Language, English Literature, Accounting. We offer one free trial class, do avail it, so book your free trial class of 60 min today. Just click the link below and register yourself. Copyrights © 2010 - 2019 RadixTree Inc. All rights reserved.